The Energy Doctor is based on the groundbreaking Energy Awareness approach to health, relationships, work, creativity, happiness and spiritual development. As Christmas is almost upon us and the temptation to spend, spend, spend exceedingly high :), we thought we'd talk about wealth and wealth qi in this Report. The key to wealth, as with most things, is Living With Energy Awareness. We get many emails about the Energy Eggs and Angels. Here's some comments from recent emails about the Wealth Egg. "I must be doing something wrong with my Wealth Egg. At this point in time, things look so bleak that I am afraid I won't be able to pay my bills.."
"The day after I received my Wealth Egg, I won £150! Now I've never been one for being "lucky" with money (hence the purchase of the Wealth Egg. If truth be told, I didn't really have the money to buy it, but I knew that I had to) and today I received an unexpected offer of some extra work..... I am not a believer in coincidence – I KNOW this was all down to the Wealth Egg helping me sort out my [wealth] qi." Obviously, these two Wealth Egg owners are having very different experiences. But the Wealth Egg process is exactly the same for them and everyone else, so why the different experiences? too much being lost by the body. The wealth qi generator, the Wealth Egg, addresses both these issues by starting to (a) increase the reception of wealth qi in your crown [chakra] and (b) reduce losses of wealth qi from different areas of your energy body. This process is called, "sealing your energy body," so it can hold more wealth qi. Sealing our energy body happens through a series of internal and external processes and events – but the series differs in the details from one person to the next, depending on our individual karmas (in this case, wealth qi obstructions). It is nevertheless happening with more or less ease in every Wealth Egg owner. The more wealth qi you have the more you will experience prosperity in all sorts of ways. The less you have the more you will experience financial and other wealth stresses or lack of abundance. Energy cultivation of any kind – health, wealth, relationship or even spiritual (higher awareness) energy – is determined by three factors: our environment, our karma and our intent. So some parts of your home and work environment – including, if you have one, the Wealth Egg or Wealth Angel – positively or negatively influence your wealth qi. Your karmic circumstances – where you are, what you do for work, your health, your connections with other people, etc. – also influence your wealth qi. 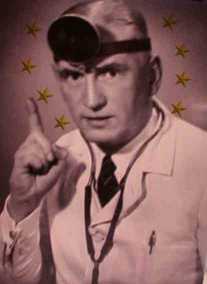 And, finally, your ability to recognise and fulfil your real needs – i.e. your intent – determines how much you are able to offset the energy-weakening influences of any wealth [qi] stresses being received from your environment or your karmic circumstances. Also, if it's strong enough, your intent beckons new opportunities to hold more wealth and other forms of qi in your body. For example, in one of the quotes above, the writer says: "I didn't really have the money to buy it, but I knew that I had to." So she is describing her recognition of a need and her willingness to act on it. Someone else may need a Wealth Egg, but decides to buy a new pair of shoes instead. And a third person may not need a Wealth Egg at all but, instead, needs to accept some poorly-paid work which may then lead to further opportunities. . . All different needs that will cultivate more wealth qi. Perhaps there's something you need to do to cultivate your wealth qi that you've been avoiding or putting off . . ? A man fervently prays to a statue of a great saint - "Please give me the grace to win the lottery." He repeats this prayer every day for many months. Finally the saint can't take it anymore and says, "My son, if you really want me to help you, please go and buy a lottery ticket." "I've had really good experiences with the Wealth Egg (for instance, November royalties of my cd's went skyhigh, a record! ), so I would like to order another one for someone who... is going through some heavy financial karmas right now." Like any other form of energy cultivation, the Wealth Egg isn't a magical solution to every money problem. It is a powerful aid to cultivating more and more of the wealth qi we need to take the steps we need to take, to resolve our money problems. More wealth qi gives us new ideas and new opportunites but we have to act on them to get results. For someone whose wealth qi is already quite developed, rapid results can occur soon after acquiring a Wealth Egg or Angel. But most of us need to cultivate our intent – including that of our wealth – to gradually increase our resonance with this and every other area of our lives. Each one of us has more or less wealth karmas – stresses arising from money or possessions of any kind, or their lack – to transform in our lives. We have seen Wealth Egg or, more often, Wealth Angel owners start up new businesses, restructure their work so it becomes more enjoyable and more productive, expand their current business in unprecedented ways, increase their turnover or accept employment for which they were over-qualified – only to be managing the business 6 months later. And, of course, we have a growing number of emails from Wealth Egg owners receiving unexpected money, amazing deals, great job offers and significant savings of all sorts. "As soon as I ordered the Wealth Egg things started to change in my life; money came through the door, and I started getting lots of ideas about how to make money." But the essential point to bear in mind is the age-old adage, "God helps those who help themselves." Or, perhaps, in our terms, "The more you live with intent the more your awareness and abilities grow...", which doesn't have quite the same ring to it, but the point is that by doing what you need to do – even when it's very challenging or if no-one approves – you develop the awareness and ability to change your life for the better in all sorts of unexpected ways. "I've had my own Wealth Egg for two weeks now and have doubled my client bookings in that time. My friends who bought a Wealth Angel won the lottery within the first few days – not a life-changing amount but nonetheless the money flow was changing direction... more than anything I can feel my attitude to money shifting in a really positive way." Energy cultivation methods – including Energy Eggs – work hand-in-hand with our day-to-day choices. So, to take a real-life example, someone who acquires a Wealth Archangel and then, a few weeks later, decides to start promoting his ability to help people fix their computers, is going to see results that someone who doesn't do anything about their wealth qi won't. The more wealth qi enters the crown chakra, the more life presents us with opportunities to increase our wealth. But the next step – to ground this energy through concrete action – is always up to us... but, the opportunities may not always be what we hoped for or expected! So, the Wealth Egg or Angel increases a certain energy, our wealth qi, in us – as can changing some areas of your environment – but how we employ that energy is always our call. What do you need to do to cultivate your wealth ki? To amplify the reception of wealth qi at your crown with the Wealth Egg: touch one end of your Wealth Egg to the fontanelle (slightly back from the highest point of your head) and swallow once with your eyes closed – then look at your Wealth Egg while doing one nose blow then one mouth blow on it. Repeating this routine each morning and evening, accelerates the opening of your crown chakra to more wealth qi. Wealth [qi] stresses are the forms of stress – environmental, relational, nutritional, occupational, etc. – that block you from taking needed wealth-generating actions or choices and encourage actions or choices that accelerate the loss of wealth qi from your body. Walking with your Wealth Egg in your left hand in acceptance mudra – tips of thumb and index finger touching – accelerates the elimination of wealth stresses from your body and mind. By the way, we do appreciate that recognising what you need to do – and acting on that recognition – can sometimes be a huge challenge. If you need help with this, in any area of your life – health, work, relationships, personal development, etc. – we offer our unique Energy Solutions private consultation. Or, if you feel the need to develop your own energy awareness in a grounded and practical way, take a look at the Entry Path - our most advanced Energy Awareness Training – which you can take online, in the comfort of your own home. Attract a Loving Relationship! Experience the Amazing Love Egg. 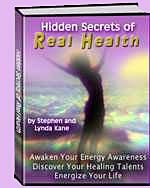 Since 1982, Stephen and Lynda Kane have offered empowerments for awakening hidden talents, essential creativity and awareness of human, environmental and spirit energies. They have also helped many clients overcome personal health and life issues in Energy Solutions consultations and enabled students develop their energy awareness in the popular Living with Energy Awareness training. To contact Stephen and Lynda, please click here. 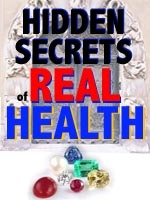 Their Hidden Secrets of Real Health, for restoring and protecting your health, awakening your healing talents and developing your energy awareness is available through www.realhealth-online.com. They share practical examples of living with more energy awareness in the *free* Living With Energy Awareness newsletter.